When big laws change in certain parts of the world, the rest of the planet usually feels the impact. It’s impossible for things like internet privacy law to have a limited impact, as everyone is using the platform which it applies to, and will have some connection to the region which has made it law. Of course, for the most part, in the world of business, customers rarely feel the difference a new rule can make. Instead, the company themselves will notice it first, and will have to deal with the outcome as a result. To help you out with this, this post will be exploring the work which has to be done to keep a business up to do date with laws like GRPR. As the very first part of this for you to consider, a lot of companies jump into action like this without understanding what it means. With this knowledge, though, it will be impossible to know whether or not you’re taking the right action at each stage, and businesses find themselves in trouble when they ignore this. GDPR itself is a group of new privacy laws which are being put in place by the EU. Forcing businesses to hold customer data securely for a limited time, along with ensuring that they are able to compile the data into reports, these changes have had a huge impact. It will be worth getting some help at this stage if you don’t have any experience when it comes to dealing with the law. Thankfully, when something like a big law changes, new businesses will pop up everywhere offering to make the changes you need on your behalf. Using a method like this will cost some money, but will ensure that you’re always taking the right action. Of course, you will still have to do loads of work to make it happen, but this can be an easy way to highlight the chances which need to be made. Once you’ve got a good understanding of the new rules which are coming into place, you will be ready to look into the changes which you’re going to have to make to be compliant. There are some common areas which are likely to change when you’re running a modern business. Below, you can find some examples of these, along with the changes which companies have had to make in them to get up to scratch with GDPR. Websites are one of the most important parts of a business, nowadays. If you fail to be compliant in this area, you could find your company facing huge fines, and will need to make any changes as soon as possible. When it comes to GDPR, the hardest part of this is storing the data which is collected from users. You will need to make sure that your host is following the rules, while also using plugins and packages to change the functionality found on your site. Laws will often have a year or so before they come into action, giving you loads of time to achieve this. If you have a physical store, you will also have to make some changes here, and this can be a little harder than a website. With GDPR, for instance, a lot of the new online rules also apply to a retail environment, but the resources required to be compliant are much greater. Leaflets need to be printed, new terms and conditions have to be written, and, most importantly, you will have to make sure that customers have access to them both. This sort of method can be applied to most changes, as simply letting customers know what is going on is often enough to win their affections. Businesses will always have good reason to talk to the people buying from them. Whether someone has made an order, or they have a question to ask you, being able to send emails and make calls securely is essential. Along with this, though, you also have to think about the messages coming into the company. Mail forwarding offers privacy, security, and convenience. In the modern world, you can rarely find options better than this, and they are the best when you’re looking to handle new communications and privacy law. Of course, as a big part of this, a lot of companies will update their entire systems, even if they don’t have to. The way that laws are handled within your company is incredibly important. Even when you trust the team working for you, it will be impossible to tell whether or not they will blow the whistle on bad behavior. To avoid this risk entirely, new internal procedures should be rolled out each time the law changes. In the case of GDPR, this could mean giving your employees the training to handle data safely, along with working to make sure that you have the policies in place for each eventuality. With your list of changes ready and waiting for you, it will be time to start working on making them, and this stage is critical if you want to be successful. It can be far too easy to assume that you know how to change the inner workings of your company. Of course, you built the beast, and it could make sense that you have control over it, but they are too complicated for most people to play around with. Instead, you will need the whole team to work together to make something like this happen. While this can make things harder, it will also be a good test of the people who are working for you. There are loads of professionals out there who will be able to help you with this stage. When you don’t know how to read the law, it can be hard to figure out if you’re covering each area in enough depth. To solve this issue, companies have started to use auditors in recent years. This can be anyone with a background in the field of law which is changing, as long as they have recent knowledge which will cover all of the new changes. 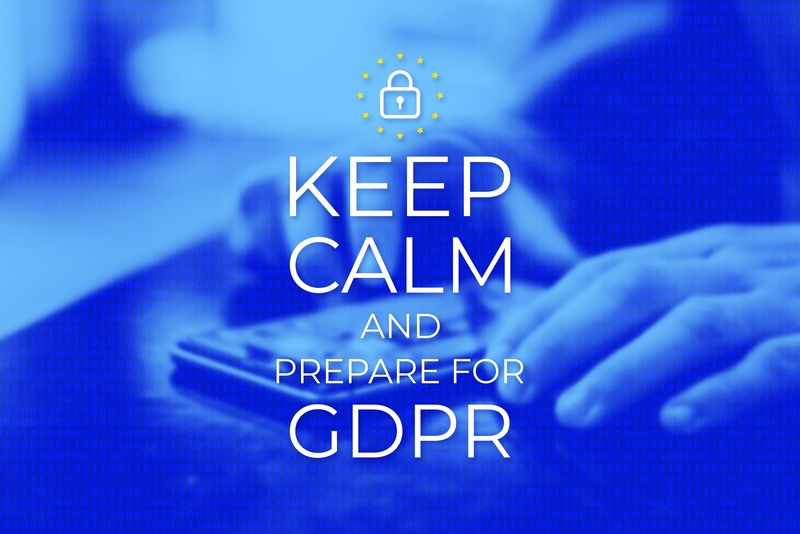 When it comes to GDPR, the best people to help you will be those who have a lot of experience working with data management and handling. Laws rarely stay the same for a long time, but most governments also won’t let businesses know when things are changing. Instead, if you want to keep up to date, you will have to search for the information by yourself, using the net to keep up to date. Thankfully, there are loads of websites out there which have resources to help you with this. Blogs, forums, and even corporate websites often post updates surrounding their own legal changes. Of course, along with this, you could also look for a channel which comes directly from those setting the rules, as this will ensure that you always have the very latest information available to you. Hopefully, with all of this in mind, you should find it much easier to start making compliance-related changes to your business. Even if you’re not in Europe, it’s likely that GDPR has impacting your business in one shape or form, and this is always the case with major laws. Of course, though, you never have to be caught out by this, with all of the resources you have available. It’s amazing just how much work a new rule can cause.